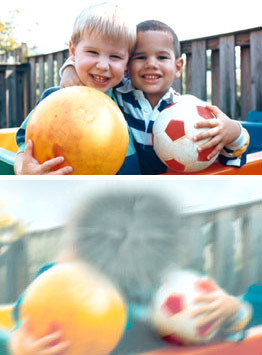 Macular degeneration is a deterioration or breakdown of the macula. The macula is a small area in the retina at the back of the eye that allows you to see fine details clearly and perform activities such as reading and drIving. When the macula does not function correctly, your central vision can be affected by blurriness, dark areas or distortion. Macular degeneration affects your ability to see near and far, and can make some activities – like threading a needle or reading – difficult or impossible.